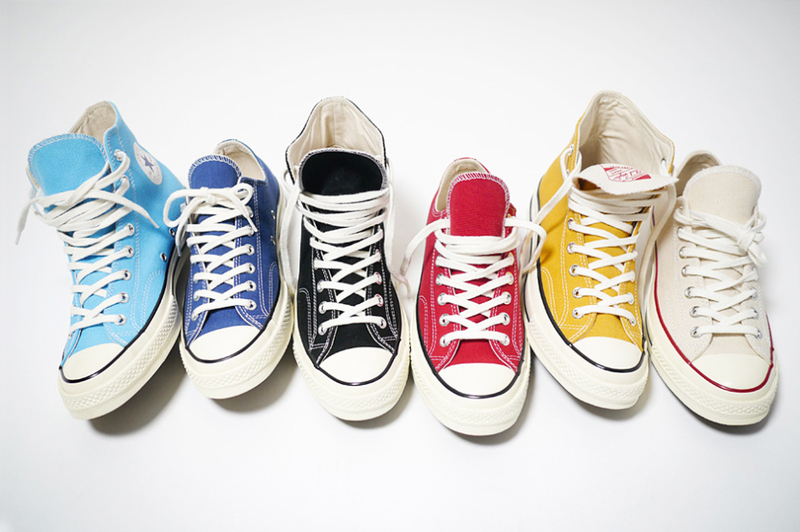 Converse continues to roll out classic colorways from the 1970′s Collection. Utilizing heavyweight canvas around the upper, and additional cushioning at the interior, this release finds classic red, off-white, and navy colorways with adventurous ones like mustard yellow and sky blue out for spring. Pick yours up at specialty shops like HAVEN for about $81 USD.